GOG.com - Dark Reign and Expansion - Unterstützte Software - PlayOnLinux - Run your Windows applications on Linux easily! English: Another classic real-time strategy game. Includes The Future of War, and the expansion The Rise of the Shadowhand. Français : Un autre fameux jeu de stratégie temps réel. Contient The Future of War et l'extension The Rise of the Shadowhand. 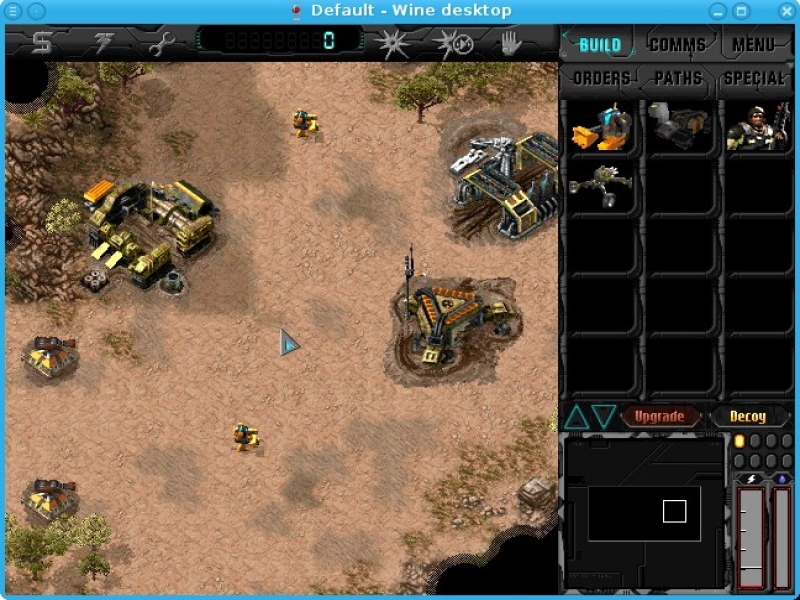 TITLE="GOG.com - Dark Reign and Expansion"
SHORTCUT_NAME1="Dark Reign - The Future of War"
SHORTCUT_NAME2="Dark Reign - The Rise of the Shadowhand"
POL_SetupWindow_presentation "$TITLE" "Auran / Activision" "http://www.gog.com/gamecard/$GOGID" "Pierre Etchemaite" "$PREFIX"
# "Please GOG, Wine's explorer.exe is not as troublesome as XP Home's, don't kill it"
cd "$GOGROOT/Dark Reign/" || POL_Debug_Fatal "Could not find game directory"
POL_Shortcut "Dark Reign - Original Game.exe" "$SHORTCUT_NAME1" "$SHORTCUT_NAME1.png" "" "Game;StrategyGame;"
POL_Shortcut "Dark Reign - Expansion.exe" "$SHORTCUT_NAME2" "$SHORTCUT_NAME2.png" "" "Game;StrategyGame;"